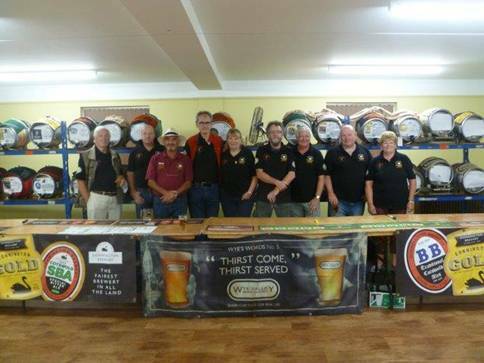 The 5th Summer Ale and Steam Weekend run by North Cotswold CAMRA was held this year on 10th to the 12th August providing bars at two stations with 30 beers and 10 ciders at Winchcombe and 14 beers and 4 ciders at Toddington. Winchcombe served 30 local and national beers from the New Waiting Room (Photo right). A trade and public session on Friday afternoon for tasting at Winchcombe was successful from 12 to 4pm. A mixture of sunny periods on Friday and rain arriving at 4pm on Saturday followed by a damp day on Sunday brought an end to our fantastic Summer weather. The bar at Toddington proved popular with a particularly interesting range of beers from the Cambridge area. 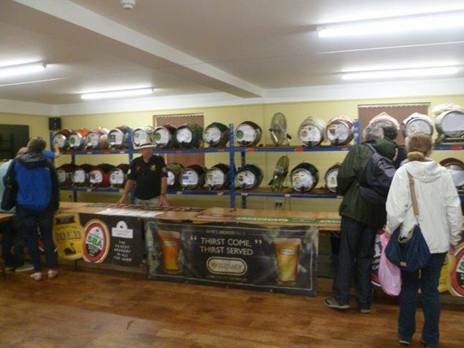 Saturday was busy at both Stations, until the rain arrived leaving a full range of beer for Sunday. Congratulations to Festival Director Alan Maclellan, Beer selector Martyn Herbert and Good Beer Co supplier Rob Brady who once again provided a great range of beers. The Cambridge theme was a great success. 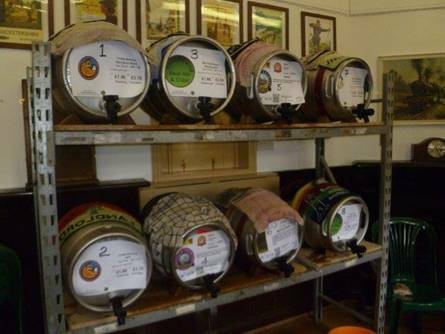 James Fry our Cider Coordinator once again provided bespoke cider offerings with enhanced local emphasis. The main seating area at Winchcombe was on the opposite side of the Railway to the Beer Building, requiring Railway staff to ensure the safety of customers if a train was about to pass over the foot crossing. There was always the footbridge connecting the two areas if some thirsty customers could not wait. 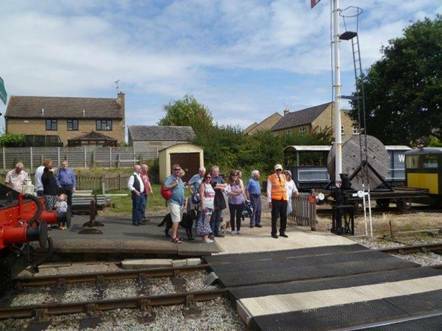 <<< Toddington set-up was unchanged from previous years. Winner of the Festival, the first to run out, was Shangri-La Pale Ale 4.2% from Arbor Ales, Bristol which was served at Winchcombe. The winning cider was Palmers Sweet Perry 5% brewed by Palmers Upland Cyder at Newport. 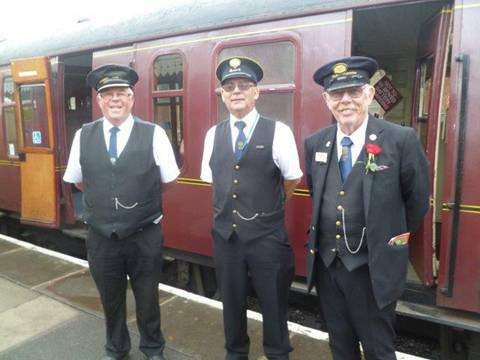 The Railway were delighted with the extra custom and rail travel generated by the Broadway extension and this year’s two Ale & Steam Festivals but have limited us to one larger event next year due to resource constraints with the larger Railway operation and competing activities. We therefore revert to one Ale and Steam event next year which will be the 16th event to be held on 21st to 23rd June 2019. 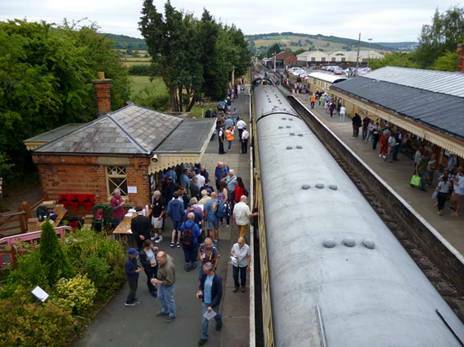 A full three-day event with both stations bars opened throughout with a full range of Beer, Cider and trains arranged accordingly. This will be its regular new spot in mid -Year. This 5th Summer Ale and Steam did not beat last year’s record 4th Summer results or this Year’s 10th Spring Ale and Steam record achieved in May, due to the wet weather, but was nevertheless enjoyed by all. The new Bar at Winchcombe again proved its worth with capacity for beer and people particularly in damp conditions. Membership Secretary Garry Hayward recruited 12 new CAMRA members over the weekend who we welcome into CAMRA ranks. 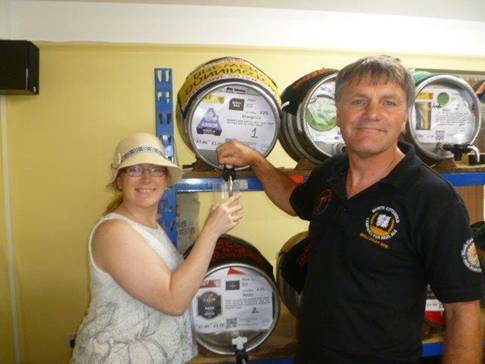 Many thanks to our customers, committee and dedicated band of helpers for a successful event and we now look forward to our 11th Moreton Beer & Cider Festival on 7th and 8th September 2018 to conclude our Festival Year.